A celebration of reading, Dear Fahrenheit 451 is for anyone who loves nothing more than curling up with a good book…and another, and another, and another! 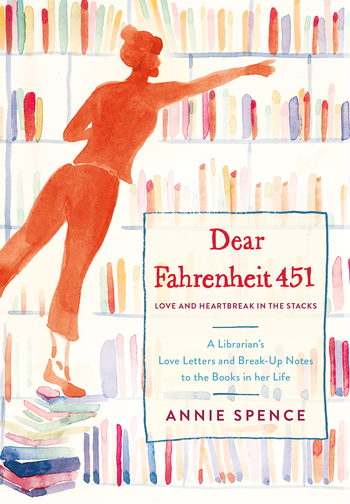 Annie Spence can read while doing almost anything else: walking, cooking breakfast, pretending to be interested in a conversation. She has spent the last decade as a librarian at public libraries in the Midwest and lives in Detroit with her husband and son. Dear Fahrenheit 451 is her first book.